On December 3rd, 2017, the second stage of the Ski Classics Season VII, Sgambeda in Livigno, Italy took place in perfect conditions as the cold night before the race ensured a hard surface for skiers and the sunshine guaranteed happy and smiling faces for everyone. The last climb proved to be tough for all skiers. In the men’s competition, until the last climb where Team Santander’s Tord Asle Gjerdalen and another athlete were able to maintain their breakaway passed Petter Eliassen who had been leading most of the way. Gjerdalen won final sprint and yellow bib. The women’s race Lager 157 ski team’s Britta Johansson Norgren beat Team Santander’s Katerina Smutná on the last hill, regain yellow bib the former lost in the previous stage. In the mens youth category, Team Serneke’s Bob Impola took over the pink bib. Team Santander rose to the occasion by becoming the number one team in the Ski Classics series. The owner of mens green bib, womens green bib, womens pink bib stayed the same. The Ski Classics competitors will fight for next stage – Vasaloppet China on January 4, 2017. 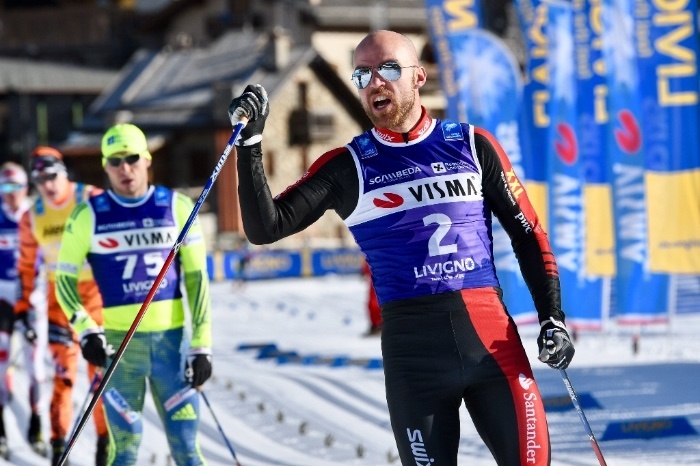 Let us look forward to an exciting race by these worlds top cross-country skiing athletes in Changchun, China.